This is me studying, probably at some early hour of the morning. 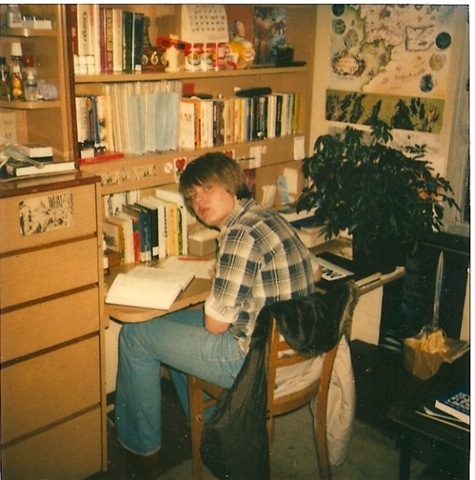 Yes, that is a map of Middle Earth on the wall, and there are comic books on the second shelf (I was quite the nerd/geek even back then). 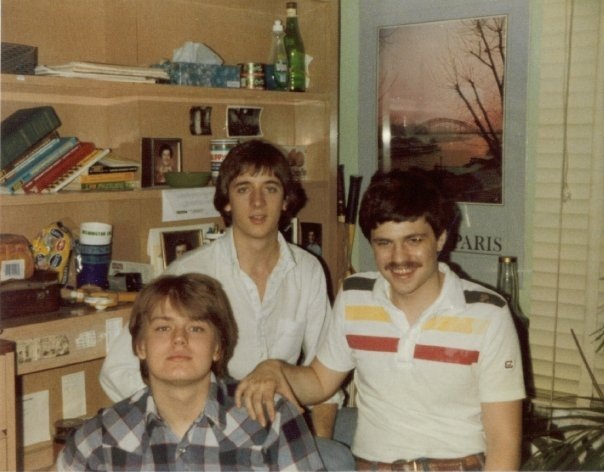 This a photo with two of my best friends at EKU (Michael Dunnigan in the back, and Mark Newkirk on the right-hand side). Oh, those were the days. Posted on January 19, 2015 January 20, 2015 by WPosted in Eastern Kentucky University, MeTagged Eastern Kentucky University. Those were the days. What memories. Where are your glasses, I can’t remember if you had gotten contacts? Back at that time I had contact lenses.